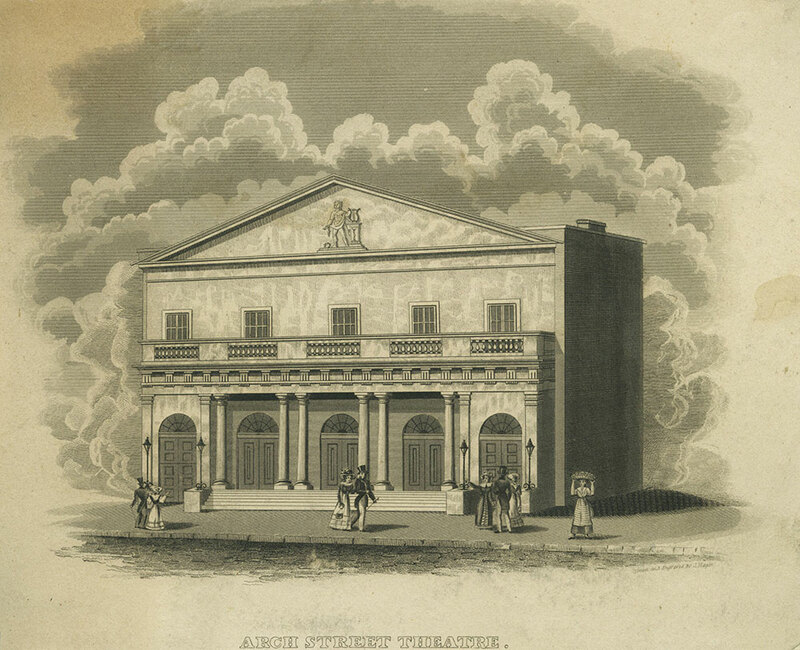 Designed by William Strickland, the Arch Street Theater was built in 1828 with money pledged by a group of citizens who longed for an elegant alternative to the Chestnut Street Theater. As a business and artistic venture, however, it enjoyed little success until 1861 when Mrs. john Drew became manager. She created and maintained a peerless group of actors and staged excellent productions for over a decade. After she retired in 1892 it was often closed. Before it was demolished in 1936, the theater had been used by German and Yiddish companies.